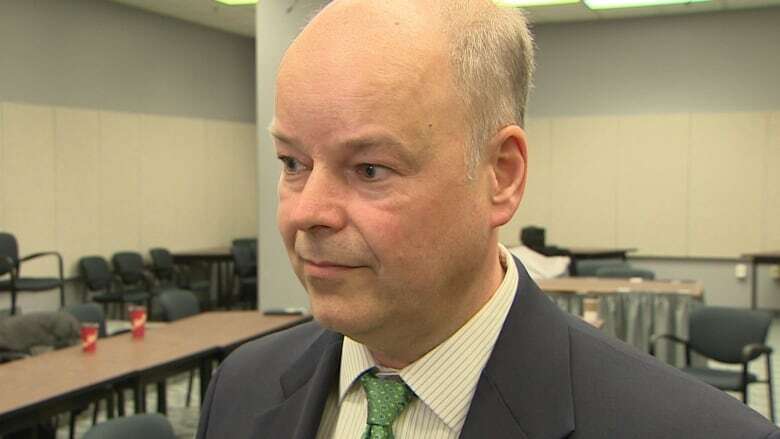 Three members in Yarmouth of the Progressive Conservative Party have sent a letter to Jamie Baillie asking him to stop his criticism of the ferry service between Yarmouth and Maine. Some Tories in Yarmouth, N.S., think the ship has sailed on their party's criticism of the ferry service to Maine. Charles Crosby, his brother St. Clair Crosby, and Vic Amirault recently wrote to Progressive Conservative Leader Jamie Baillie saying the party needs to tone down its attacks on the service because of its importance to the area. "We all remember the economic devastation that this region suffered when the NDP cut needed funding to the service," reads the letter, a copy of which was obtained by CBC News. "When that party was in power, our party led the charge to get the service back. Now that it has returned, it has been disheartening to see a shift in our party's position that essentially mirrors that of Darrell Dexter's defeated NDP government." Charles Crosby said he understands his party would question the deal signed by the Liberal government, but the service is already benefiting the area and beyond. Hotels are full, people are gassing up and they're filling restaurants, he said. "People are coming across on that boat and they're staying in Yarmouth. So the ferry is working for us down here, and we're just tired of him bitching about it all the time," he said. "You had your say, get off it. Move on to something else." Baillie said he respects the concerns Crosby and others are voicing, but he doesn't plan to change course. He was in Yarmouth last week to meet with the town council and tour the area. "I just believe if you want to be a political leader and you take a strong stand on something and it's going to affect someone specifically, you should go and see them." It's clear people in the Yarmouth area are happy to see the ferry, said Baillie. He said his sense from his time in town is people "feel badly" that the ferry deal is for so much money. "It's not just a Yarmouth issue anymore," said Baillie. He said the amount of money going toward the service makes it an issue for the whole province. "People in Yarmouth, they get that." The 10-year deal with Bay Ferries includes $32.7 million for the first two years, $13 million of which was for startup costs. The cost of subsequent years has not yet been negotiated. Baillie said his party supports a ferry service, just not the deal the Liberals signed. Plenty of people are concerned about the economics of the current contract and Baillie said it's his job to speak out. He doesn't believe the party's approach hurts the service, despite such warnings being voiced by the CEO of Bay Ferries. The party's finance critic, Tim Houston, has been particularly vocal on the issue, periodically tweeting out passenger counts he says are being forwarded to him, although he and Baillie have acknowledged they are estimates and not official numbers. 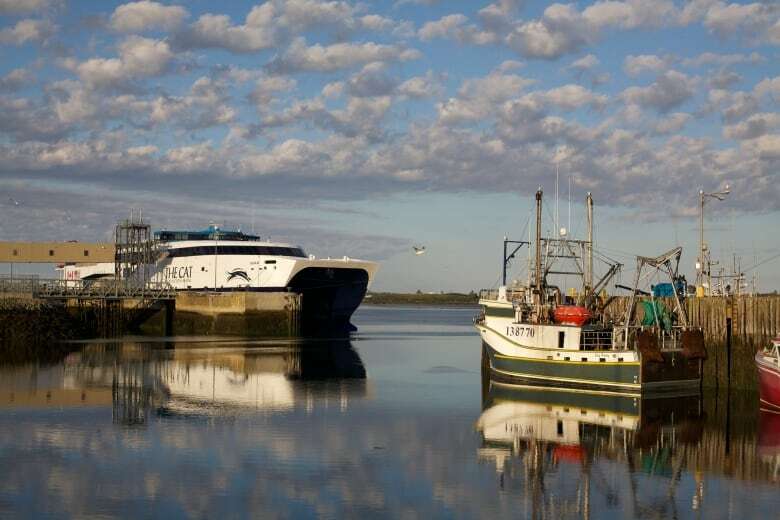 The most recent numbers from Bay Ferries show that while the service's daily average ridership has increased every week since June, the numbers are still short of where the government hoped they would be. Crosby was Yarmouth's mayor for 20 years before being unseated in 2008. He later ran unsuccessfully for the Tories in a byelection in Yarmouth in 2010 and intends to run for mayor again in the upcoming municipal election. Millions of dollars go to projects all around the province, including Halifax and Cape Breton, said Crosby. He doesn't see the ferry contract as being any different. "As long as it's going to Cape Breton or Halifax there's no big say about that. But guess what? The people who are getting off that boat, they're driving to Halifax, they're going to Cape Breton. So they're benefiting something, too."